i have a few friends who are addicted to all things japan. from anime to kid robot and everything in between including the harajuku girls made famous by the song of the same name. japan is definitely on my bucket list. in the meantime i'll live vicariously through marcy. of course you can’t go to japan without having a little sushi! i won’t lie, i indulged more than a couple of times in my favorite food here…but let me tell you, it's well worth traveling half way around the world for! i quickly learned that there’s no such thing as california rolls here – it’s prepared strictly traditional with only the highest quality fish, vegetables, seaweed, and the best sticky rice around. i also tried a few dishes that are worthy of an honorable mention, but not recommended for the faint of heart. although i wouldn't order a bento box again, it was certainly worth the experience of the guessing game that was my breakfast. on a more mainstream note, for lunch i enjoyed a bowl of handmade udon and prawn tempura. a local favorite that's both affordable and delicious, this combo is a must when dining in japan. if you're aching for a bit of glamour in the urban jungle, pay a visit to the dining level in the mitsukoshi department store. i can safely say that i've never seen such a beautiful display of pastries, fruit baskets, and prepared foods all in one place. frequented by tokyo's elite, generous gifters, and tourists alike, this food hall is nothing short of extravagant. daikanyama: aptly nicknamed “the brooklyn of toyko,” this hipster neighborhood is dense with coffee shops, high-fashion boutiques, unique houseware stores, and trendy cafes. 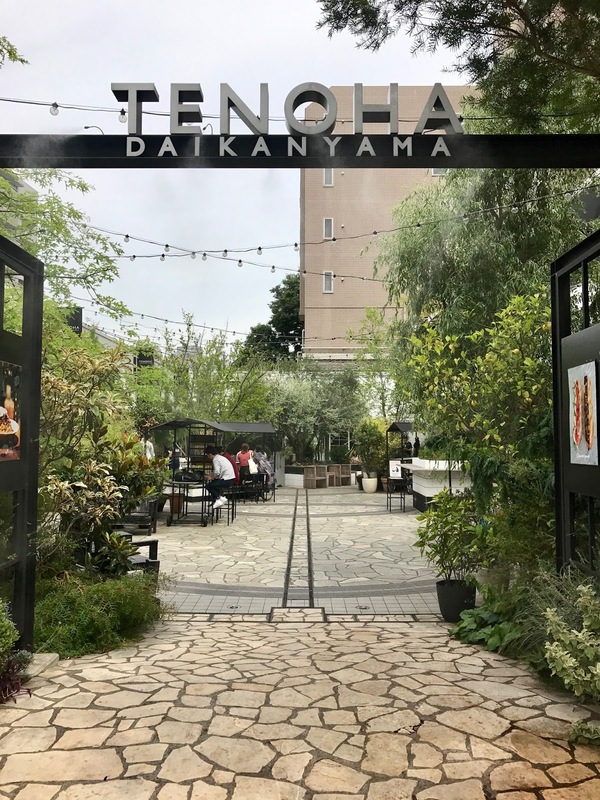 lesser-known among tourists, the daikanyama area is quiet and refined – perfect for unwinding after a busy day of sightseeing. 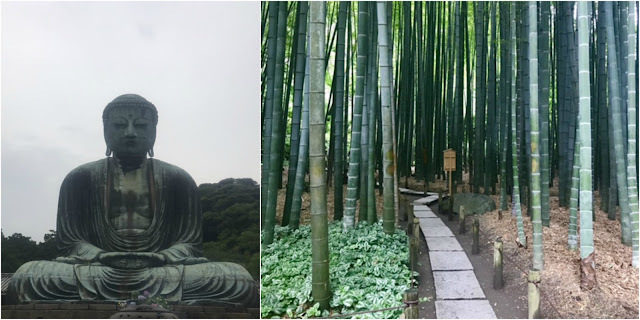 kamakura: about an hour outside the heart of tokyo by train, this beach city is famous for its “great buddha” – a bronze statue nestled among lush coastal jungle. towering over forty feet tall, the 121-ton hollow buddha allows for tourists to climb inside and peep out the top for a birds-eye-view of the temple grounds. 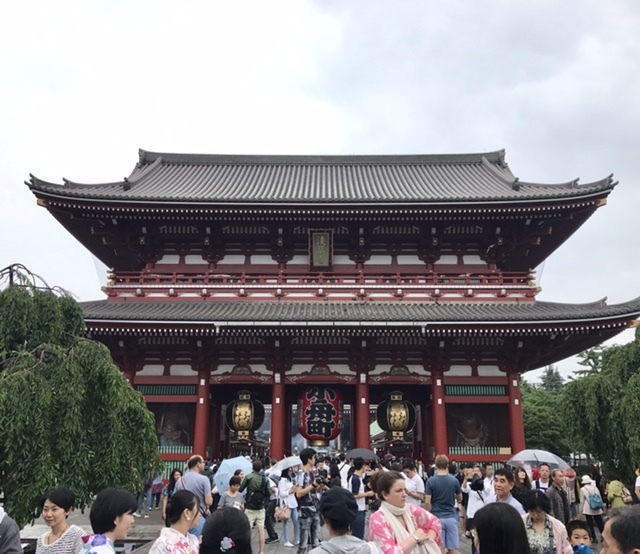 another jewel of kamakura is the hokokuji temple. dating back to the twelfth century, the beautifully maintained grounds of this zen temple are unlike anything found back in the city. however, the real attraction here is the bamboo forest. 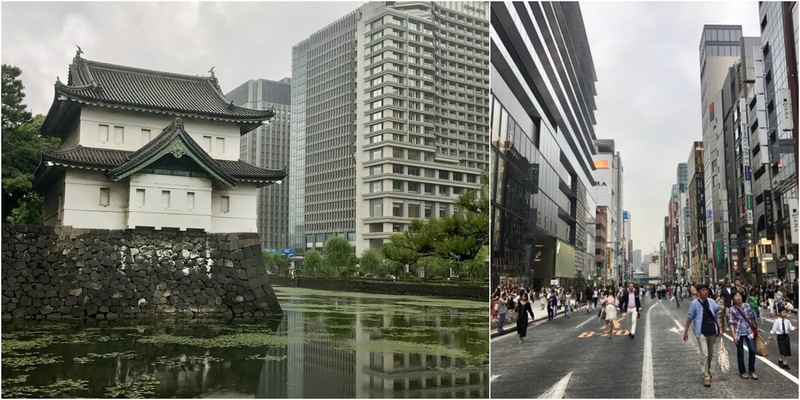 walk along the stone pathway, gaze upwards, and get lost in sky-high bamboo – you’ll forget you’re just minutes from one of the busiest cities in the world. 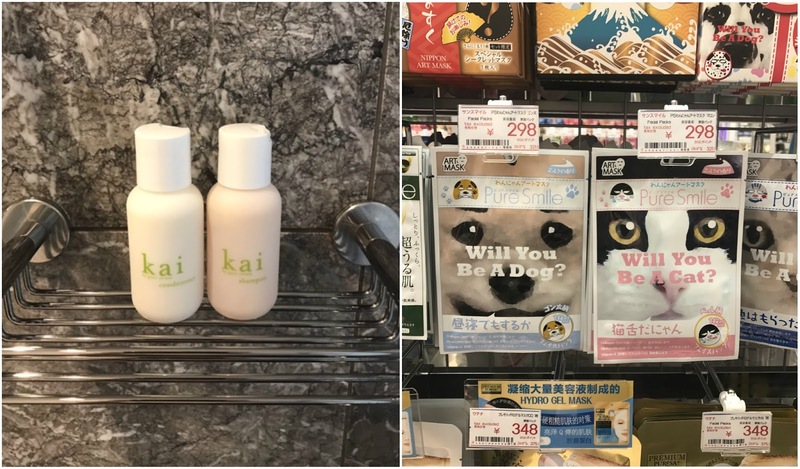 japan is a major destination for all things beauty – kai included! here you'll find kai products in several locations around the city, so your favorite products will never be out of reach. i brought along some travel size shampoo and conditioner on my travels to keep my hair in check while immersed in the summertime humidity. don't forget to pick up some of fun facial sheet masks too. aside from being entertaining (oh the mystery! will you be a dog or a cat?) japan is known for its advanced skincare and potent sheet masks that make for a baby-soft and glowing complexion. slip on a traditional japanese happi coat and you'll be as good as a day spent at the spa.